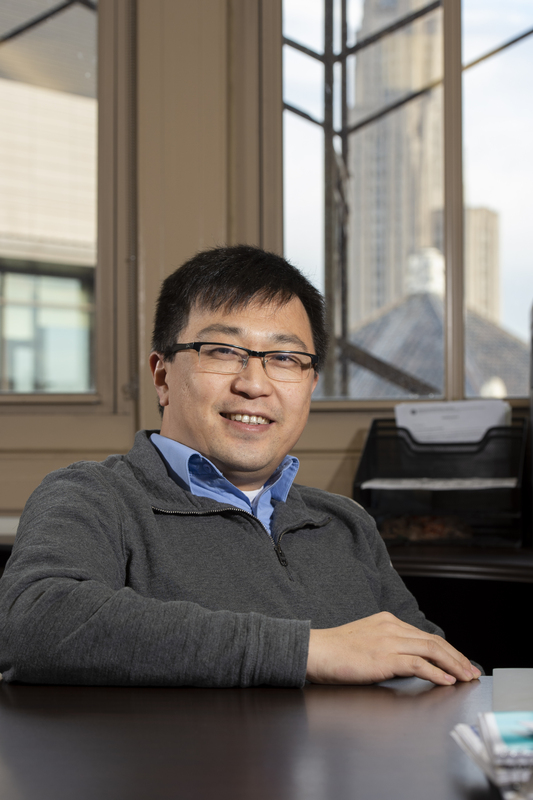 Strengthening the marriage of computation and experimentation is a goal of Peng Liu, assistant professor in Pitt’s Department of Chemistry. Liu already has a productive relationship with Pitt Center for Research Computing: his laboratory used Pitt CRC resources on 37 papers published in Nature, Science, Nature Chemistry and other journals. Now the Liu lab is using Pitt CRC in refining computation models as part of a research process incorporating rapid experimental feedback. Liu’s lab designs catalysts to selectively control basic chemical reactions. 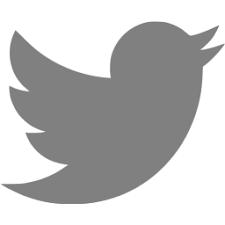 They are developing computational tools to build theoretical models that directly guide experimentation, the results of which guide new iterations of the models. Already an NSF CAREER Award winner, Liu recently received a Maximizing Investigators' Research Award (MIRA), a new category of National Institutes of Health grant. The five-year, $1.8 million grant is unique in several ways. MIRA provides support for a laboratory – not an individual PI carrying out a specific project. The award is not tied to goals specified in a proposal. And in a welcome change, MIRA reduces time spent writing and re-writing grant proposals. To develop drugs with specific properties, it is necessary to control catalysts. The Liu lab focuses on molecules called alkenes or olefins – hydrocarbons that synthesize compounds important for biomedical research. Among the influences on alkene catalysis are ligands, molecules binding to a central metal atom, and transition metals – ions of elements such as iron in which electrons are sparse in the outermost regions of the atom. Transition metals are effective catalysts because they easily exchange electrons back and forth with other molecules. The possible combinations of ligands, transition metals, and alkenes are vast. Pitt CRC provides computational power for all the MIRA projects. 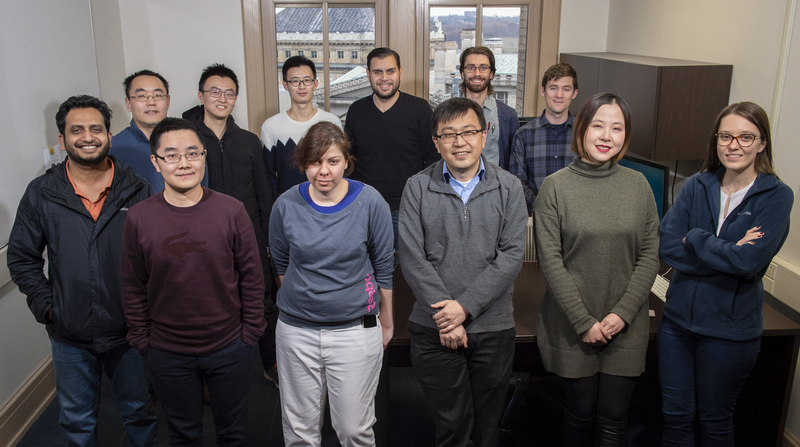 Given the Liu Lab’s many active projects being carried out by a large group of collaborators, the power and capacity of computing resources at Pitt CRC is crucial. Because Pitt CRC focuses exclusively on the Pitt research community, the Center boasts short wait times, an important factor for Liu. Students in the Peng Liu lab: front row, Humair Omer, Cheng Fang, Elena Kusevska, Peng Liu, Huiling Shao, Tugce Erbay.